Fun fact: most of the stone fruits you see (nectarines, cherries, peaches, even coconuts, from a certain botanical point of view) are considered drupes, which are soft, fleshy fruits that have a hard pit inside containing the seed. 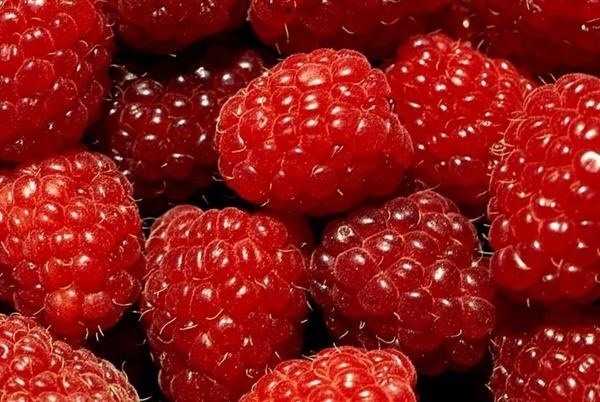 Meanwhile, boysenberries, raspberries, and blackberries are actually composed of hundreds of many, many tiny little drupes all clustered together. These are aptly called druplets. These tightly packed druplets lend certain berries their unique beauty and texture. Over at ChefSteps, they've figured out that the singular structure of these berries make it super fun to freeze them in liquid nitrogen and turn them into frozen berry drops. First, obtain some liquid nitrogen and add the berries of your choice. When the berries release only a few air bubbles, they're ready to be strained/fished out of the LN2. Next, place the berries in a bowl and separate them into individual druplets using a pestle. Now you have these good-looking druplets to use to decorate cakes, ice cream, desserts, or to just enjoy on their own. According to ChefSteps, these druplets have a chewy, fruity texture when served partially thawed. When completely thawed, they're described as "bursting." 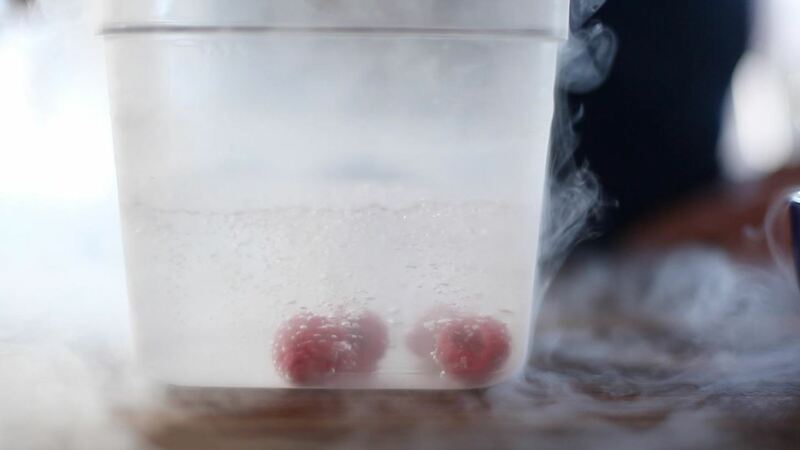 For home cooks, this process of cryofreezing berries seems intimidating, but it's actually quite simple. The most complicated part is buying and handling liquid nitrogen. However, Modernist Cuisine points out that while the stuff does need to be handled with care, things like fryer oil can be a lot more dangerous. Just be sure to wear heavy gloves, handle it carefully, and make sure your work area has plenty of ventilation. You can learn more about how LN2 is used in cooking over at Modernist Cooking Made Easy. You can get more facts about the substance and its chemistry at About. 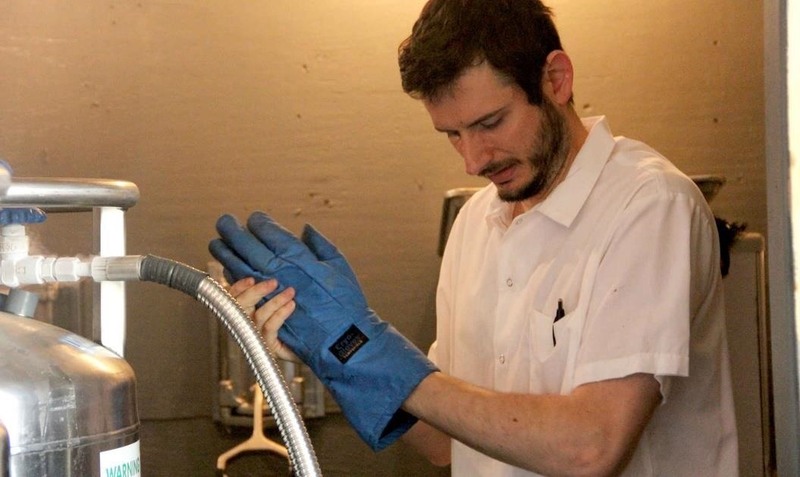 If you're looking for a good source for LN2, the forum at Chef Talk has some good leads. And for another fun cooking adventure from ChefSteps, check out their spumoni video below. 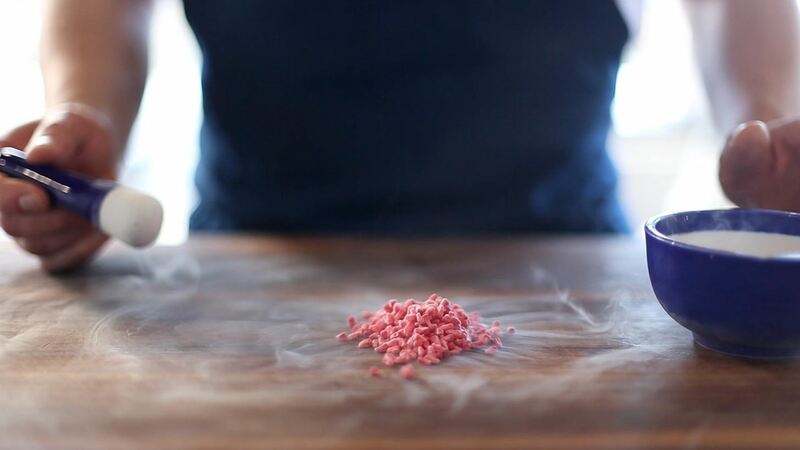 For more LN2 hacks, see how you can make your own liquid nitrogen at home (though it's not suitable for cooking purposes), deflate and refinflate balloons, shatter gummy bears, and perform some amazing party tricks with the stuff. You can even (supposedly) put your hand directly in liquid nitrogen due to the Leidenfrost effect, but I would recommend against doing that. Seriously. What's your opinion on cooking with liquid nitrogen?